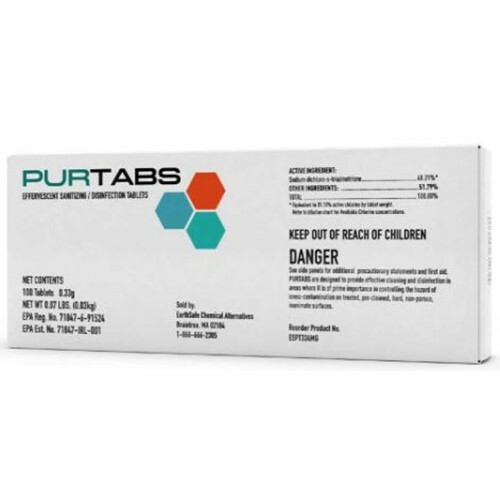 These EPA registered tablets dissolve quickly in water to form a sanitizing solution that is NSF D2 certified safe for food contact surfaces with no rinsing required. 1 tablet dissolved in the Protexus Sprayer Tank gives up to 800 sq. ft. of sanitizing coverage across all hard surfaces.